I'm back! Hope you had a good weekend? Sorry there was no Friday post last week as we were flying home. Regular posting will resume as soon as I've caught up with everything. Anyway, for today a photography post! You can read my review that I wrote for SYGM here when I first used the camera last October which gives an overview for all of the snazzy features, the vintage filters, the wifi and app to link to your smartphone, how really easy it is to use by just tapping the screen for where you want to focus it etc. I also love how how retro it looks. In America last week a guy actually thought I was using an old camera! These are some of the photos I took with it before we went to California, I'm obsessed with depth of field at the moment. Focusing on whatever you want to slightly blur the background. Just ask Ben how many photos I took last week in America, I blame the camera.. Here and above I selected the tulips and the candles to be in focus. I use it on Intelligent Auto mode most of the time as I'm no photography expert with all the Manual, Aperture or Program settings. Although if you know your stuff then I'm sure you could use these and get an even better result. Are you photo obsessed too?? I could, and regularly do, spend hours just playing around especially on a sunny bright day. 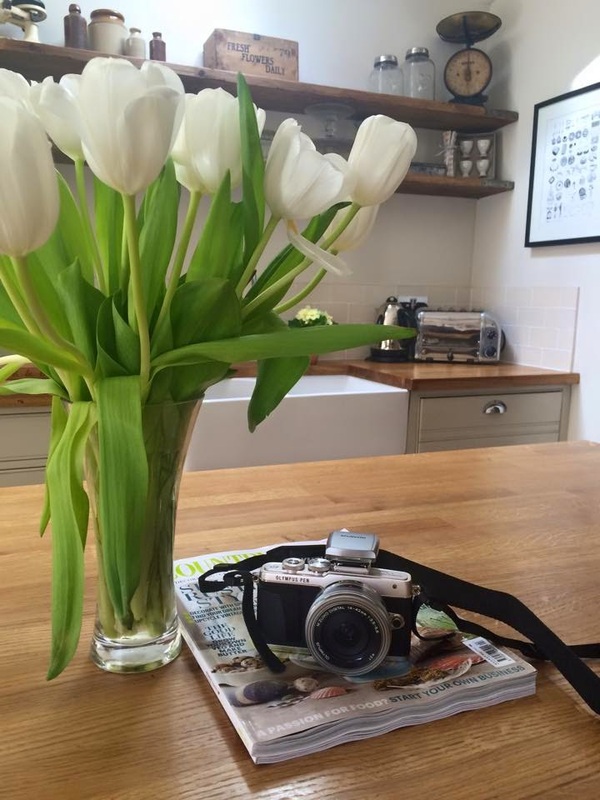 Light + flowers + camera = a happy bunny. There's a macro mode too for up close photos. As I mentioned, probably the only drawback would be having to think about buying additional lenses if you need something more than the 14-42mm pancake one it comes with. Last week it was great for everything apart from if I wanted to zoom in on a seal on the beach or something far away. My old camera had a 24x optical zoom so I was used to being able to see things from a distance. Also the lens doesn't come with a cap on a string so I ordered one from eBay as I'm paranoid about scratching it if I don't have the lens cap to hand. So if you get one then it's worth protecting it with a cap on a string to always keep it with you. 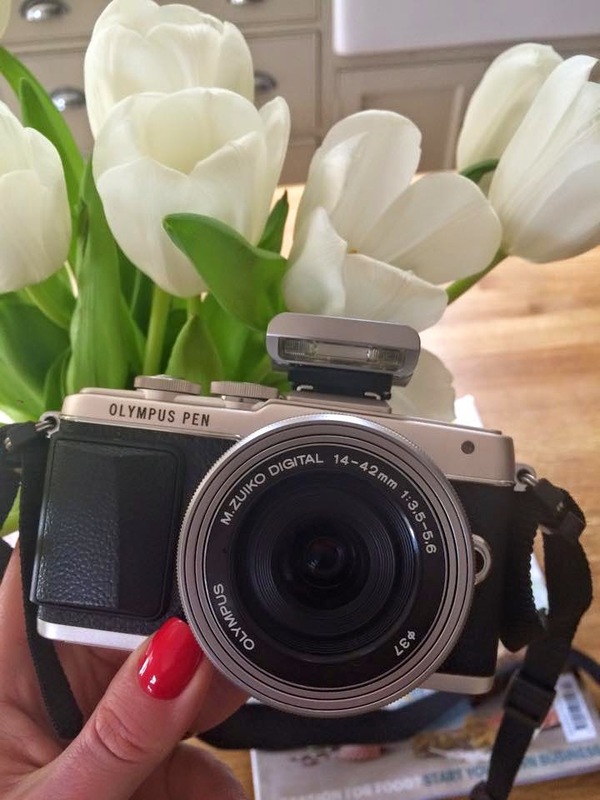 Other than that though, I really can't recommend the Olympus Pen highly enough. Now I just need to buy a gazillion new memory cards and extra hard drive storage for all these photos haha. And are you bored of my kitchen yet?? You can purchase, as I did, online here. I received a discount on the camera from attending the Savoy day but I would never, ever recommend or review something that I wouldn't pay full price for. I have nothing to gain on writing this review so of course all opinions are my own. It looks like a good compact camera. I haven't had one for years; it's either the iPhone or the digital DLSR. Sometimes either of those are not an option and the Olympus looks like a good 'in between' camera. Have you ever considered a DLSR? Mind you, it's a slippery slope once you get going, especially with all the different lenses you NEED...! Manny Pacquiao Latest News: Jessie Vargas Fights Like Erik Morales, Pacquiao Be Worried? If you want to get additional Sales through Bulk SMS and Social Media with a low budget. Or if you want to promote your business at a top level in the market, contact us, we provide Bulk SMS Services, Voice SMS Service, IVR Service and More.